Up on the mountain is the viewing tower at Brasstown Bald. When I first got the Shelby, I took it out all by myself and literally tore through the mountains. I started in Helen, Georgia and went North to the top of the mountain. I actually scared myself more than once, because this car is all power in any gear, at anytime. 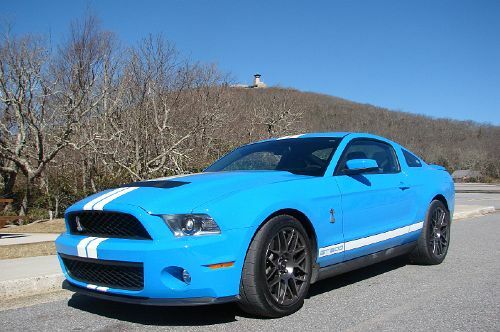 The improvements in handling and performance gives the 2011 Shelby GT500 a skidpad rating of 1.0G, and a Virginia International Raceway lap time of 2:58:48, making it very fast. it is sometimes faster, than cars such as the M3, Audi R8 V10, Dodge Viper SRT-10 and Porsche GT3. If you had the room, you could drive this thing at 140 MPH all day long and it would have plenty left if you needed. It really doesn't matter what gear you are in, it will pin you back in the seat any time that you call on it. I spent the afternoon doing the old heel and toe and Carroll Shelby would have been proud.